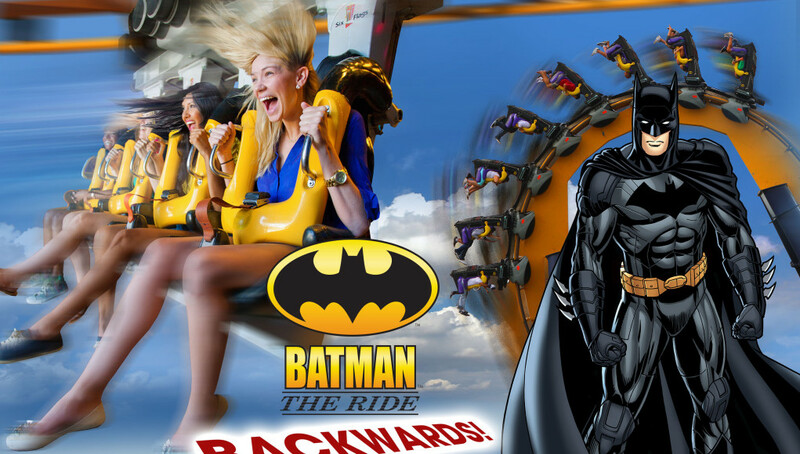 JACKSON, NJ — June 22, 2015 — Six Flags Great Adventure unveils a second thrilling roller coaster experience for 2015 as it flips one of its most innovative and adrenaline-charged coasters, BATMAN™: The Ride, backwards for a limited time beginning July 4th weekend. 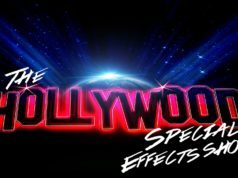 The world’s largest theme park also teams up with Coca-Cola® to celebrate Independence Day with July 4th Fest from July 3 to 5. 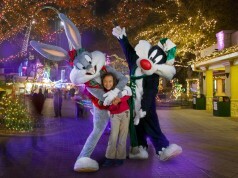 Guests can enjoy some of the best thrill rides in the world, listen to live music and watch dazzling fireworks displays. 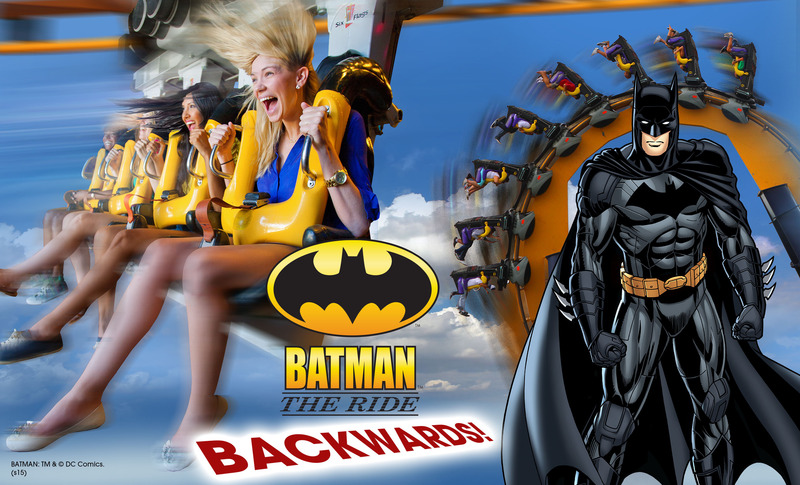 Batman™: The Ride – Backward! BATMAN™: The Ride becomes even more intense as it undergoes a gravity-defying role reversal from July 4th weekend to Labor Day weekend. Guests can take on an all-new experience on the world-famous suspended, looping coaster when its chair lift-style train is flipped 180 degrees on the track. The excitement is magnified since guests cannot see the twists and turns that await them as they soar at speeds up to 50 mph through five gut-wrenching inversions. Since opening in 1993, BATMAN™: The Ride has given more than 27 million thrilling rides and reigns as one of the most popular roller coasters in the world. During July 4th Fest, guests can present a can of Coca-Cola® along with an admission ticket, Season Pass or active Membership to enjoy exclusive ride time each morning on some of the park’s most popular coasters including El Toro, Kingda Ka and the new El Diablo looping coaster. In the evening, guests can watch as stunning fireworks illuminate the night sky. Coca-Cola presents Plan B and Tony Dize in concert at the Plymouth Rock Assurance® Arena July 3. Plan B, a Puerto Rican Reggaeton duo consisting of cousins Chencho and Maldy, rose to fame in 2002 when they released their first studio album, El Mundo Del Plan B: Los Que La Montan. Tony Dize is an American Reggaeton singer of Puerto Rican descent whose most recent hit includes “Duele El Amor.” The event is free with theme park admission, Season Pass or active Membership. In appreciation for the service and sacrifice made by U.S. military members and their families, Six Flags and Coca-Cola® are again proud to support Operation Homefront as part of July 4th Fest. A portion of tickets sold through Coca-Cola® will benefit Operation Homefront, and from June 29 through July 12, guests will be able to make a special donation to Operation Homefront online. 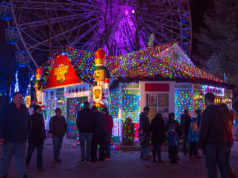 In addition, Six Flags Great Adventure will proudly host 500 military personnel and their families for a day full of fun and thrills. Next door at Six Flags Hurricane Harbor, the culinary team is turning up the heat at the new Cabana Cove Bar & Grill. This open-air kitchen features island-style jerk chicken, tri-tip steak sandwiches, juicy hot dogs, fresh salads and more. The park also introduces an upgraded Cabana Cove, with new, luxury cabanas surrounded by a lush, tropical landscape.